Acoustic phonetics is the study of the physical properties of speech sounds made by the human vocal tract. Computer software programs are used in this field of study. They typically transform the speech waveform into a so-called spectrum, a sequence of frequency-based analyses performed at regular intervals. This computation can then be used to generate an image known as a spectrogram, which is used to examine the waveform. The various analyses allow investigators to examine such things as the duration of the sound, its frequency and its intensity (amplitude). 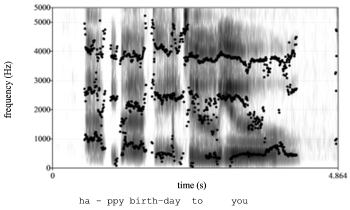 Figure 1 shows a spectrogram of me singing the opening line of ‘Happy Birthday!’ Three so-called formants are shown. These are the horizontal bands across the frequency spectrum which represent regions of relatively great intensity. Auditory phonetics is the study of how people perceive speech sounds. It investigates how people recognize speech sounds – as distinct from other sounds in the environment – and how they interpret them. 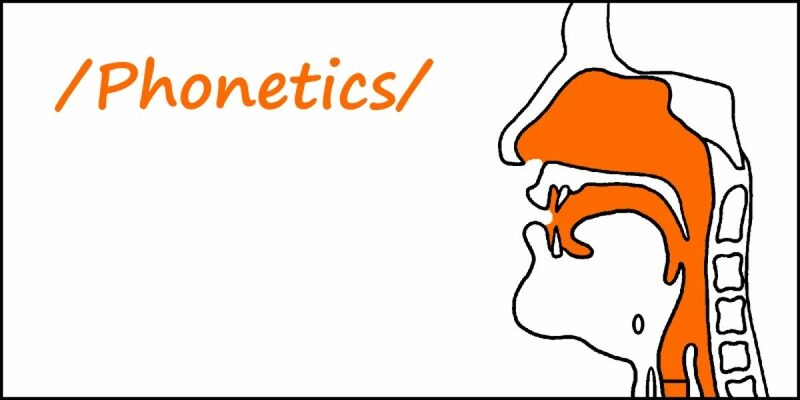 Articulatory phonetics is the study of how the vocal tract is used to produce (articulate) speech sounds. Further, it studies how speech sounds are combined – in words and in connected speech – and how they vary: their place of articulation in the vocal tract, their manner of articulation, whether the vocal cords are activated during production of the sound, and so on. It examines the two main categories of human speech sounds: (1) vowels and (2) consonants. Vowels are open sounds because they involve no obstruction to the flow of air from the lungs as it passes up through the windpipe (trachea), through the voice box (larynx) and out of the mouth. Other than a speaker positioning the tongue, jaws and lips in a specific configuration, there is nothing to obstruct the airflow. In British English there are approximately 20 vowels. In contrast to the ‘open’ sounds of vowels, consonants are closed sounds. This means that there is some type of obstruction to the airflow from the lungs by parts of the mouth coming into contact with each other, or very nearly contacting, thus closing off the free flow of air. For example, the lips could come together for the sound ‘b’ as in ball, or the tongue tip could almost contact the gum ridge just behind the upper incisors for the sound ‘s’ as in sun. These contacts, and near contacts, impede the free flow of air through the vocal apparatus. It is this kind of closure that characterizes consonant sounds. Voicing refers to whether or not the vocal folds are vibrating during the production of the consonant. If they are not vibrating the sound is voiceless and if they are vibrating then the sound is voiced. This indicates the type of contact that is made between the two articulators and is defined simply by the five main groups we encountered earlier: plosive, nasal, fricative, affricate or approximant. Table 1 summarizes the 24 main consonants of English in terms of their voicing, place and manner. Conventionally, where symbols appear in pairs, the voiceless consonant is listed before its voiced counterpart. In summary, then, articulatory phonetics is the study of how the vocal tract is used to produce (articulate) speech sounds, the description and categorization of these sounds, how they combine (in words and connected speech) and how they vary (from one speaker to another and from one context to another). Speech therapists are especially concerned with this area of study as any disruption in the ability to articulate speech sounds may give rise to an articulation disorder (speech disorder).